Deepak L. Bhatt, MD, MPH, has been appointed first executive director of Interventional Cardiovascular Programs, effective Dec. 1. An accomplished leader, physician and researcher, Bhatt currently serves as chief of Cardiology at the VA Boston Healthcare System and director of the Integrated Interventional Cardiovascular Program at BWH and the VA Boston Healthcare System. He is a senior physician at BWH and senior investigator in the TIMI Study Group. His research interests include preventive cardiology; optimal management of patients with acute coronary syndromes; and advanced techniques in cardiac, cerebral and peripheral intervention. He has authored or co-authored more than 600 publications. As executive director, Bhatt will report to the BWH Heart and Vascular Center leadership team and to the chief of the Division of Cardiovascular Medicine. He will serve as principal director for the core and interdisciplinary programs within the BWH Heart and Vascular Center, and appoint and oversee a clinical operations leader of the Cardiac Catheterization Laboratory, among other responsibilities. Bhatt received his BS in Life Sciences from Massachusetts Institute of Technology, MD from Cornell University and MPH from Harvard University. He completed his residency in internal medicine at the Hospital of the University of Pennsylvania, as well as interventional cardiology and cerebral and peripheral vascular intervention fellowships at Cleveland Clinic. Bruce Levy, MD, has been named chief of the Division of Pulmonary and Critical Care Medicine in the Department of Medicine, effective Oct. 1. 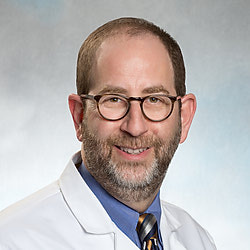 Levy will oversee the division in providing outstanding, compassionate clinical care, and educating and training the next generation of academic leaders in pulmonary and critical care medicine. He will also lead the division in its mission of unraveling new knowledge and discoveries that will improve its understanding of and ability to treat common pulmonary diseases. Levy served as Department of Medicine program director for Academics and Development since 2000, where he organized the curricular and extracurricular activities of more than 180 interns and residents. He has also led the development of new programs and innovative mentoring initiatives. As a pulmonary physician-scientist, Levy cares for patients with severe asthma and related conditions in BWH’s Center for Chest Diseases. Since 1994, he has been an attending in the Medical ICU. His research focuses on the resolution of lung inflammation and injury, and his work has helped lead to more than 10 patents awarded or pending. Levy also led the creation of the Support for Excellence in Educational Development program in the Department of Medicine, which provides financial support and mentoring for student- and faculty-led innovative projects. Levy earned his BA in biology from the University of Pennsylvania and MD from the University of Pennsylvania School of Medicine. He completed his residency in internal medicine at BWH, where he served as a clinical fellow in Pulmonary and Critical Care Medicine and chief medical resident in Internal Medicine. He is a member of the Division of Medical Communications and is currently associate editor of the American Journal of Respiratory and Critical Care Medicine and The New England Journal of Medicine’s clinical problem-solving interactive case series. Ali Salim, MD, FACS, was recently named chief of the Division of Trauma, Burns and Surgical Critical Care in the Department of Surgery. Salim, who began at BWH on Sept. 1, will provide leadership as the division moves forward in sustaining and strengthening its robust programs. An experienced researcher, Salim was principal investigator for a study funded by the National Institutes of Health that examined organ and tissue donation among Hispanic Americans. He has co-authored nearly 200 articles for peer-reviewed publications, including the Journal of Trauma, Archives of Surgery, Annals of Surgery, Journal of the American College of Surgeons, Injury and American Journal of Surgery. Prior to joining BWH, Salim was an attending physician, program director of the General Surgery Residency Educational Program and director of Trauma and Acute Care Surgery at Cedars-Sinai Medical Center in Los Angeles. He received his bachelor’s degree from Duke University and his medical degree from Howard University. He completed his surgical training at the University of Southern California in Trauma and Critical Care. Stofer New President of Partners Community Healthcare Inc.
Lynn Stofer has been appointed as the new president of Partners Community Healthcare Inc (PCHI). In this role, Stofer will take the lead in deepening PCHI’s commitment to Population Health Management by coordinating effective and efficient care for patients across the PCHI system. 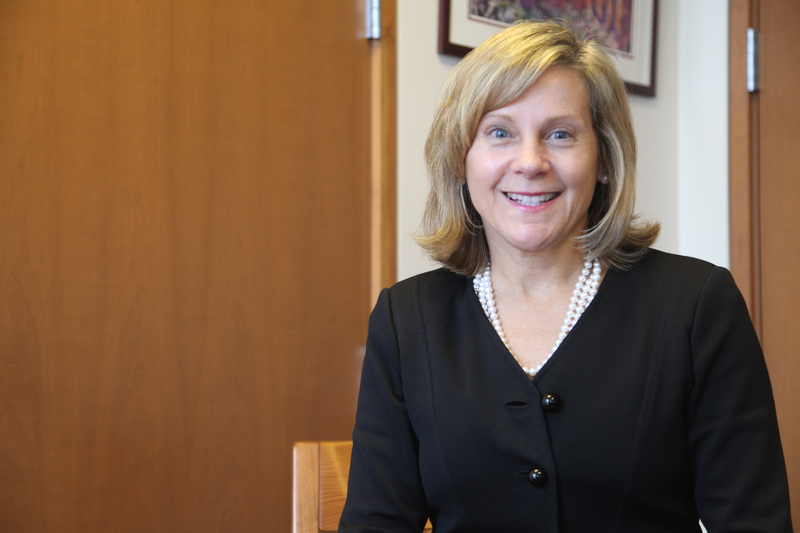 Most recently, Stofer served as PCHI’s chief operating officer (COO) for Lahey Health. While managing the $700 million operating budget as COO, Stofer simultaneously served as senior vice president of Business Development. Additionally, she was strongly involved with clinical program development at community hospitals, building a physician specialty network, namely Lahey International, and other enterprise-wide initiatives. Originally from Pennsylvania, Stofer received her MPH specializing in health services administration from Yale University and her graduate certificate in management from Radcliffe College. She also recently completed a graduate program in entrepreneurship at the London School of Economics.